Today, I went to a holiday craft fair at 3rd Ward in East Williamsburg. It is a studio/workspace for artists and designers which also offers classes in various fields. I went with the hope of doing some Christmas shopping but instead I picked up a great hat for myself from Artikal Millinery. They have some wonderful handmade hats, very unique! There were some food vendors at the fair and one of which I was very happy to see. 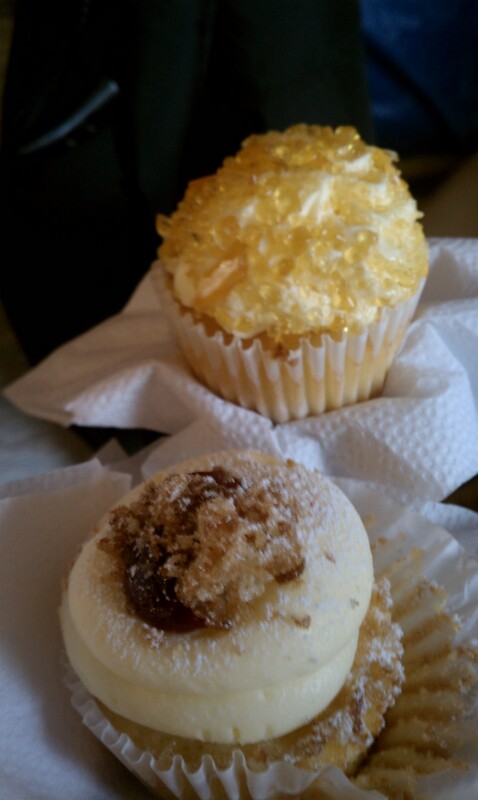 I first read about Robicelli’s Cupcakes earlier this year and had been dying to try them ever since. They have great, very interesting flavors and I was glad to find out they are as tasty as I’ve heard. You should definitely check out the flavors on their website. They were selling a chicken and waffles cupcake but we stuck to pretty normal flavors.